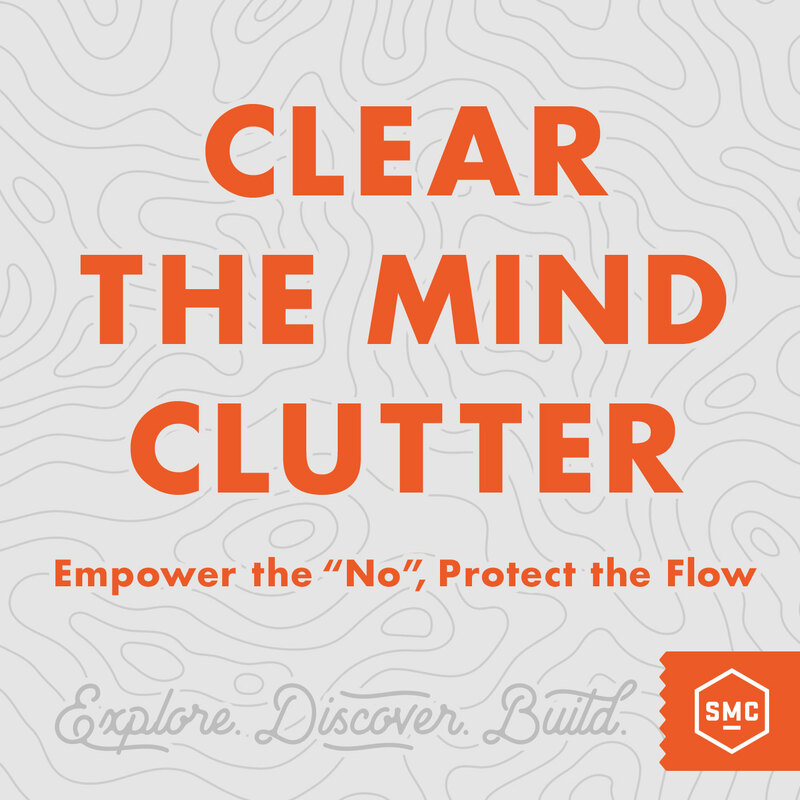 How do we clear the mind clutter, empower the no, and protect the flow? In a world with a million productivity apps and time saving software at our disposal, we should all be experts in time management, workflow and efficiency… right? 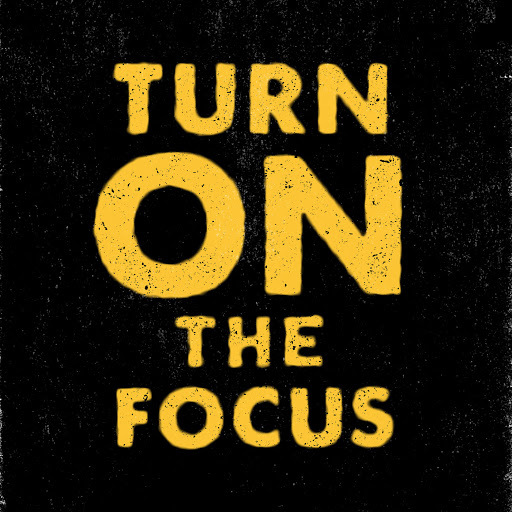 In my last blog post, I talked about “Turning off the Noise and Turning on the Focus.” This is a follow up piece that provides specific steps to mastering your work day with more confidence and less stress. In a world of go, go, go, we don’t often think of the best ways to “deal” with something before diving right in. Set yourself up for success by putting some serious thought into your current systems and processes and getting ultra clear on how you operate best. Our mind is like a laptop. It can come up with all these great ideas, but it can only process 2-3 things at a time. There’s no room for storage. A thought can get stuck in your head all day and night causing stress and lack of focus. To relieve the stress and find clarity, you have to clear the mind clutter. This is done by getting it out of your head and into a collection tool system. Collect everything! This is includes career and personal goals. Next, write down what specific actions you need to take to make each one of these goals happen. Don’t worry, this list can change and evolve as you do. Review and spruce up the list on a regular basis. Make it part of your daily routine so that you’re not steering from the path you’ve created for yourself. This system not work if you do not make a solid commitment to stay on track. Like a good project manager runs a shop, you have to have a good system that works for you. We often develop tendencies to put off our bigger more audacious goals when we’re busy with a list of smaller tasks. It may seem productive to check off smaller to-do’s, but it’s actually a sneaky way of avoiding the bigger goals that you really need to get done. This will prohibit your progress. I suggest using mornings to do the heavy lifting (like concepting) when you have the most energy and creativity. Leave the small stuff for later in the day when you have low energy. For peak performance of your creative flow, maintain full focus for about 90 minutes, then take a 15 minute break. Do this about four times a day. Your mind works better when it gets into a rhythm. You absolutely need an effective system for dealing with incoming mail. Whether it’s digital or physical, it’s all the same. When the inbox is full, your mind is suddenly full of clutter, keeping you stressed and frazzled. Mind clutter as we talked about before, keeps you from achieving goals, hinders you from being totally present and inhibits you from delivering your best work. So ask yourself, WHY is my inbox full? Do I not have the time or do I just not want to deal with it? Maybe a bit of both? The real reason is probably because you don’t have a good enough system to work with. Let’s keep it simple. 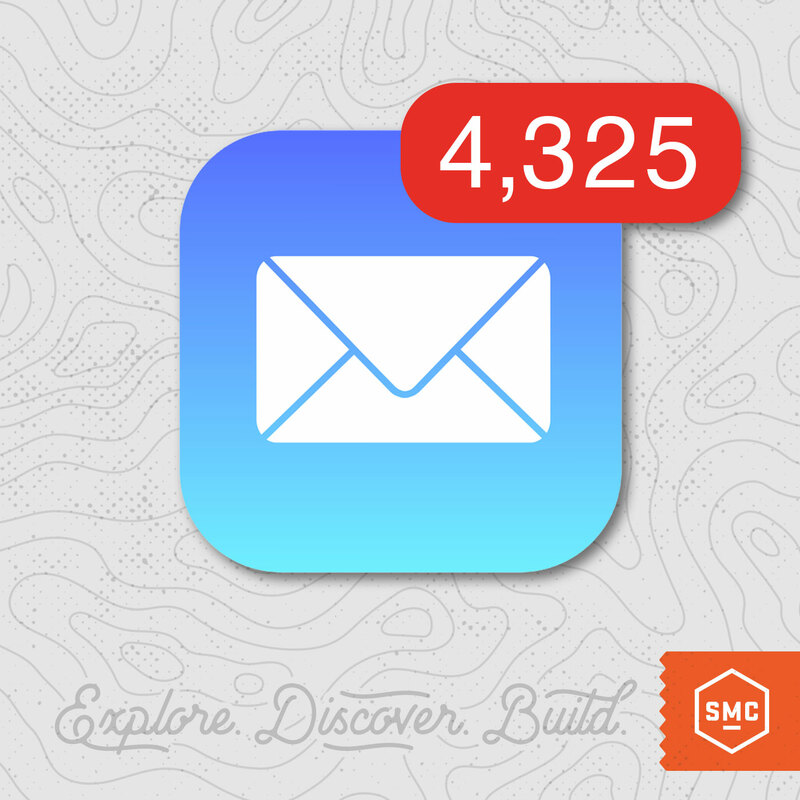 How do you deal with a million emails? Here is is broken down into three steps. DEAL WITH IT – If it takes less than 2 minutes, deal with it. Delete it. Reply to it or take action, then move on. DEFER IT – Set up folders for “defer” items. Someone sent you a recommended article on graphic design. Put it in a “defer” folder so you can read it later. Turn off your email when you’re in the zone and let people know when you’re able to respond with an automatic reply. Instead of responding to an email right as it comes in, block out specific times in the day for email check-ins. Visit the inbox in the morning, noon and evening so that you’re left with bigger chunks in the day to focus.Yes, sometimes there are emergencies. You have to take the call that’s interrupting your work flow. You have to drop a task to get ahead on tomorrow’s rush job, but in most cases, it can wait. When you stick to a well-thought out game plan, you will be successful in your projects. You need to create a schedule before the week starts of what you’re going to try to accomplish and how much time you’re going to spend doing it so that you don’t get carried away on one project and lose time for other important to-do’s. Apps like Harvest are great for accessing where your time is going and allows you to adjust your schedule in order to optimize your productivity. Take control and don’t judge yourself too harshly when you have to tweak some things and move stuff around. Just try and stay consistent and understand the processes that make you most efficient..and sane! Creativity suffers when we spend too much time focused on one thing. Sometimes, in order to turn up the focus, we have to unfocus for a bit. If you’re feeling stuck or finding it hard to breath life back into a project, put on the brakes and give yourself the opportunity to shut if off and come back invigorated with a newfound excitement to complete the project. AND NEVER give up on a piece. Simply set it aside and come back when you’re fresh. The best solution to a creative block is by freeing up the mind. Empty your mind of challenges and then fill it with new inspiration. I personally love getting outside and breathing in some fresh air. A brisk bike ride or a high-energy activity outdoors always leaves me feeling lighter and more calm. Hit the desk after doing something fun and work on getting your next task knocked out with a recharged brain. When our brains get overly cluttered with unorganized information, a wall is formed where nothing else can get in. Our productivity slows, our creativity is lost and it’s difficult to stay on track with our goals. Clearing the mind is crucial in a world with an overabundance of “stuff.” Follow these steps, and regain clarity to propel you forward and keep the mind free of clutter.